This is a long over-due blog post. But better late than never. My daughter Max, turned 16 early this year. 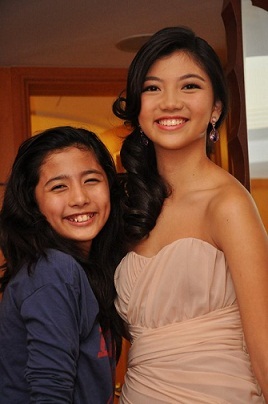 She is a junior in De La Salle Zobel. She went to the Prom this year. Yesterday, she was my adorable round crawling baby. Today, she is my Prom Princess. She had a beautiful gown courtesy of her Uncle Lino. She got made up by one of my favorite make-up artists, Precious. She had a beautiful smile which was all hers. Joining in on the family fun that night were friends of the Prom Princess. There was Cam, one of her oldest friends and my inaanak. They were classmates in Casa in Maria Montessori back when Max was three and Cam was two. 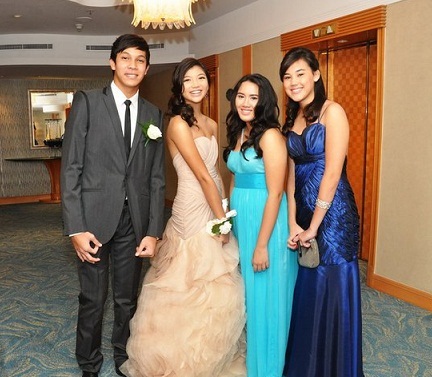 Then there were Cam’s two younger sisters who were Nadine’s good friends, Amanda and Gabbie. I was in Shangri-La hotel to see her off, along with tons of other parents who I guess, like me, could not stay away. After the kids went to the ballroom, I was hanging out the younger children. Then I decided to send Max a text asking how it was going. She texted me back and said, ‘’Mama, I won Heartthrob, Best Dressed and Couple of the Night.” Oh wow, I almost fell off my chair. My baby, won all these? Naturally, I texted my whole family and my close friends and gloated with pride as only a mother could. What could I say? I could only stare at her beautiful face and be proud. My sweet baby girl, the Prom Princess. In DLSZ Vermosa, students are assured of quality instruction and education that would help them enrich their gifts. Indeed, the campus would serve as a learning space that can ignite the spark of potential in young learners.